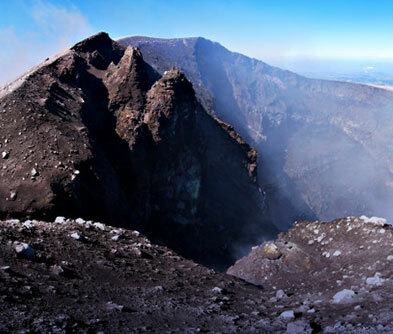 Scenery etched by a live volcano; unique wines created by the same rich soil, scented flavoured honeys and more. 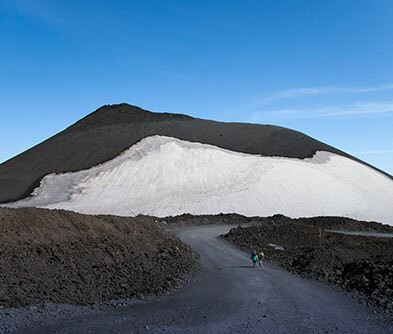 A climb up Mount Etna is a special Footprint recommendation for those who shun the ordinary. 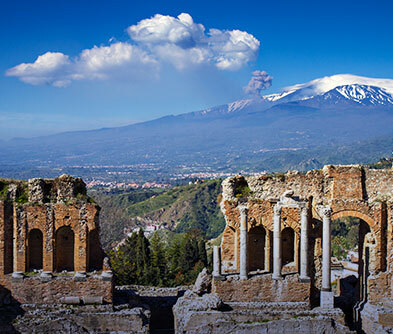 After a relaxing sojourn in Toarmina, head out to the towering, moody Mount Etna. Local guides are well versed in reading its state of mind and can safely guide your climb. Hike up trails etched by black lava, offering different views of the centrepiece and amazing glimpses of the countryside below. After 2 to 3 hours of climbing you reach the highest point allowed. If you’re lucky, you may even witness a mild eruption or so. So keep those cameras ready. Fatigue will take a back seat given the photo opps on offer. The flavoured honeys served in the little cafés will hit just the right spots. For the less hardy, Mount Etna can be enjoyed over a glass of wine at any of the famous wineries located around its slopes!